We had been to a general Mediterranean store to pick up some traditional spices and supplies. There I got the idea of making Spanakopita or Greek Spinach Pie. I have been wanting to make this pie for the longest time. 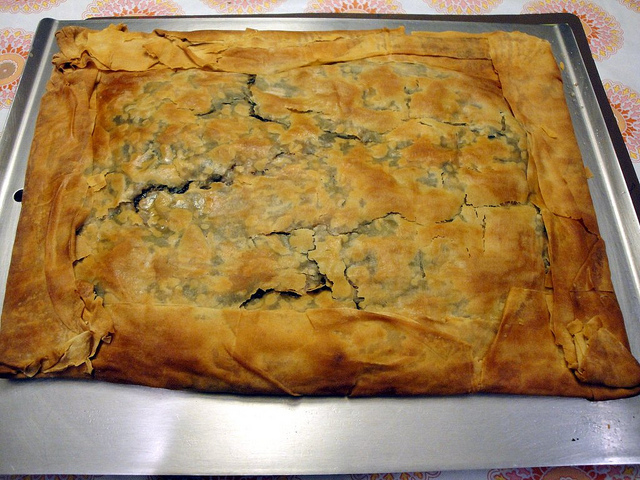 Usually made with spinach, feta, onions and parsley, I played around with the ingredients a bit. In addition to spinach, feta, onions and parsley, I added fresh oregano, fennel seeds and cured olives. Final result was just a burst of flavors with every bite reminding one of the presence of each ingredient. We have been enjoying this pie for the last few days now :-). 1) Take out the filo sheet boxes and thaw them in natural temperature for a few hours before preparation. 2) Pre heat oven to 350 degrees F.
3) Cut the stem off the spinach leaves, clean them thoroughly in water, drain and set aside. Chop the red onions and the olives fine and keep all aside separately. 4) In a large wok or similar dish on medium heat, add 2 tbsp of olive oil. As the oil heats up, add the fennel seeds. When you get the aroma of the fennel seeds from the oil, add the spinach leaves. 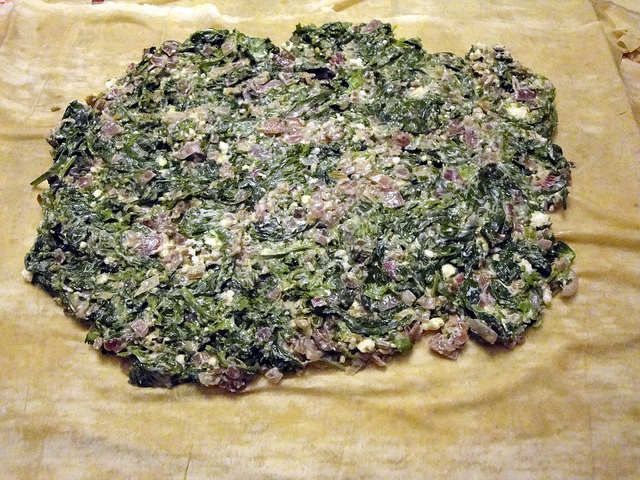 Cook the spinach leaves for 5-7 minutes or until they become tender. Turn the heat off and let it cool. Take care to squeeze/take out excess water by hand (very important!) and transfer the cooked spinach to a large preparation bowl. 5) Add a little oil to a dry wok, and cook the onions for a few minutes until just done. 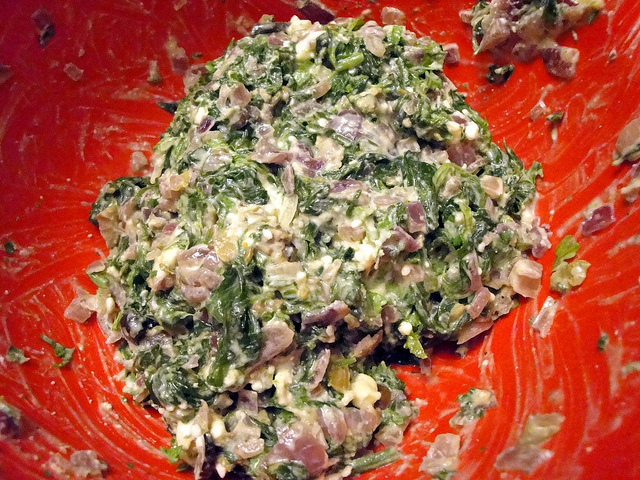 6) To the spinach in the preparation bowl, add the onions, finely chopped olives, crumbled feta cheese, freshly chopped parsley and oregano leaves, and salt and fresh ground pepper to taste. 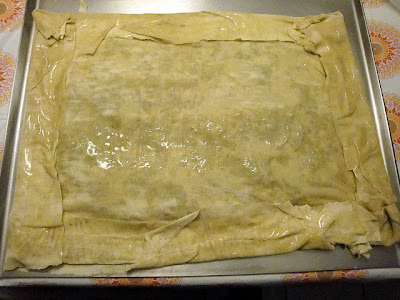 7) On a large baking sheet, after carefully removing the wrapper from the filo dough, lay the first filo sheet on the baking sheet. Brush the dough with some olive oil. Repeat until you have layered 4 sheets brushing with olive oil after each layer. 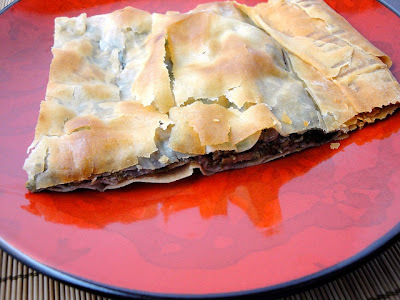 Note - depending on your preference, you can layer the top with 4 filo sheets as well if you want a thicker pie. 8) Now pour the spinach mix on the center, level it off into a rectangle shape. Cover on top with 2 more filo dough sheets, brushing with olive oil in between and on the top layer. Fold the edges over since the filo sheets are very big. 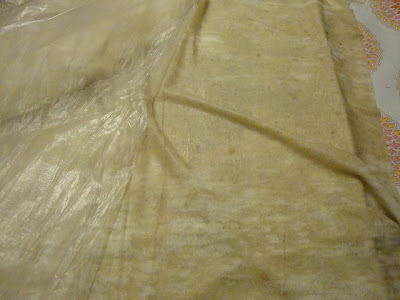 9) Bake for 50 minutes or until the filo sheets are baked to a nice golden brown color. During the baking process, after 20 minutes or so, every now and then brush the top with olive oil if it looks too dry. Half way during the baking process, turn around the baking sheet so it cooks evenly all over. 10) Cut into whatever shape or size you would like. Serve hot.